I certainly do! Sheesh. I feel like I’m being pulled in a hundred different directions! Let me share my last three months. First, there was Thanksgiving. Then Christmas, which this year, we had the whole family at our house. Then New Years… And the whole time I’ve been working on a new website and business direction. 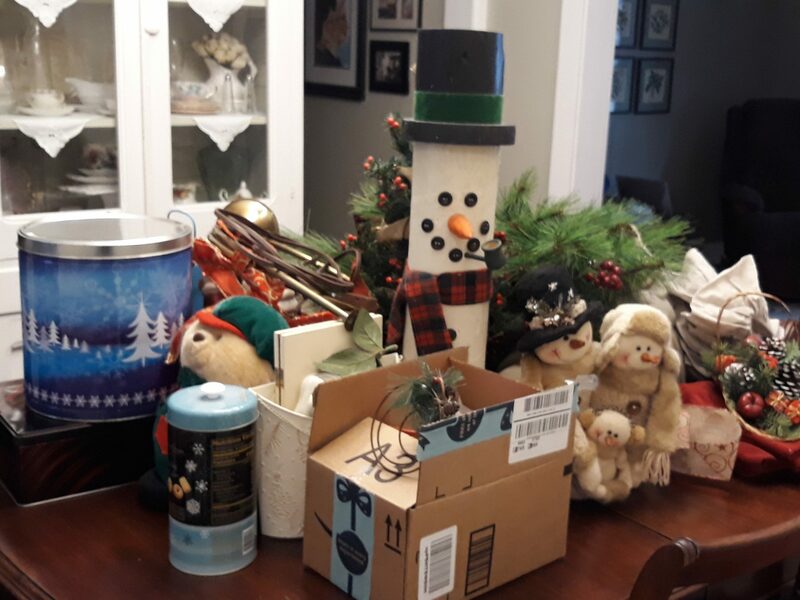 The Christmas decorations are still on the table. Sorry, quick phone pic to show you I’m real. Oh! and did I mention the new stove I bought last year had to be replaced? That happened the middle of November while my husband was away on his annual hunting trip with my dad. The new one (new stove, not a new husband, I still have the same husband) works beautifully. Love it!! But that’s not all! Two of my fur-babies had UTIs in December right before Christmas at the same time!!! ARRRRRGH!!! Don’t get me wrong, I’ll do whatever I need to do to make sure they’re happy and healthy, but TWO of them???? See what I mean about being pulled in a hundred different directions? Please tell me I’m not the only one! Seriously, I wanted to pull my hair out. I guess it’s just that time of year for that. Anyway, I thought I’d share a few things I did to keep myself from going crazy during this crazy time. I listened to Christmas music. I love Christmas music. I could listen to it all year. When I felt overwhelmed, I stopped what I was doing and took some deep cleansing breaths. I made sure to take 15 minutes just for me… Maybe a cup of tea, or even a hot chocolate. I’d love to hear what you do when things get crazy for you. Share them in the comments.